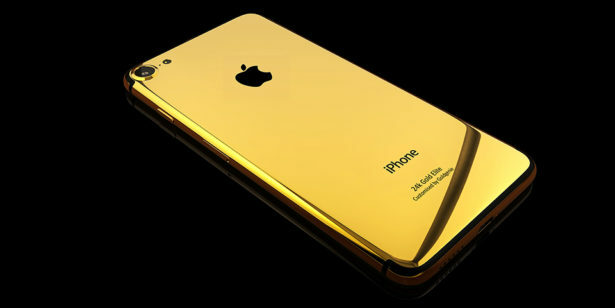 Forget about that Rolex and gold necklace- a gold phone is the way to go. 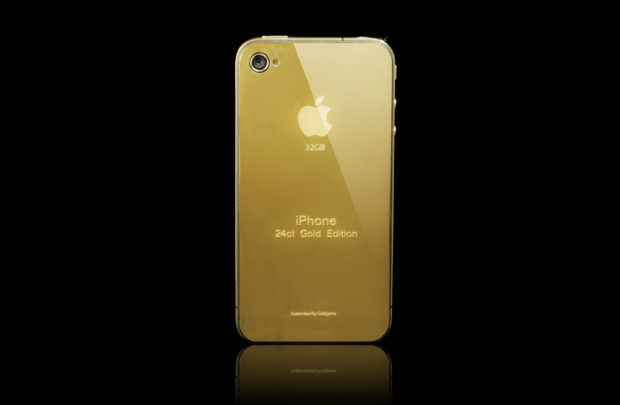 The company Goldgenie sells plated phones containing 24k of gold, and it isn’t cheap. For about $25 000 CAD, you can buy Apples’ latest cellphone release, the iPhone 7, encrusted with gold. Goldgenie also work on other iPhone models, as well as select Samsung and Blackberry devices. If gold isn’t your thing, there are other options available too. Rose gold, platinum, Swarkovski crystal and diamonds are other models you are able to choose from. With the purchase of a phone, you can also get a logo or message engraved onto the back. A lifetime warrantee is also included with the purchase of a luxurious iPhone 7. For those who would prefer something else plated with gold, the company also provide services to get your own items upgraded. They are able to plate most metals and other technologies as well, which is detailed on their website. This gold plating services and luxury gift business Goldgenie launched their first retail store in July, located in the United Arab Emirates. “We are pleasantly surprised at the response to our first ever bricks and mortar retail environment,” said founder Laban Roomes after the store’s launch. He said the company hopes to open another retail location in Beijing, China soon. Roomes appeared on UK’s ‘Dragon’s Den’ and received his first investment for Goldgenie from James Caan. If you would rather buy another gold infused item other than a phone, Goldgenie sells a number of other products built with gold. Gold game consoles, gold tennis racquets and gold racing bikes are just some of the other luxury items available to purchase. If you have some extra money lying around that you don’t need, click here to visit their website and buy something worth bragging to your friends about.